IMPORTANT NOTE: CS-60 Car Stops are sold per unit, but must be used in pairs. A pair consists of one left-hand stop (CS-60L) and one right-hand stop (CS-60R). 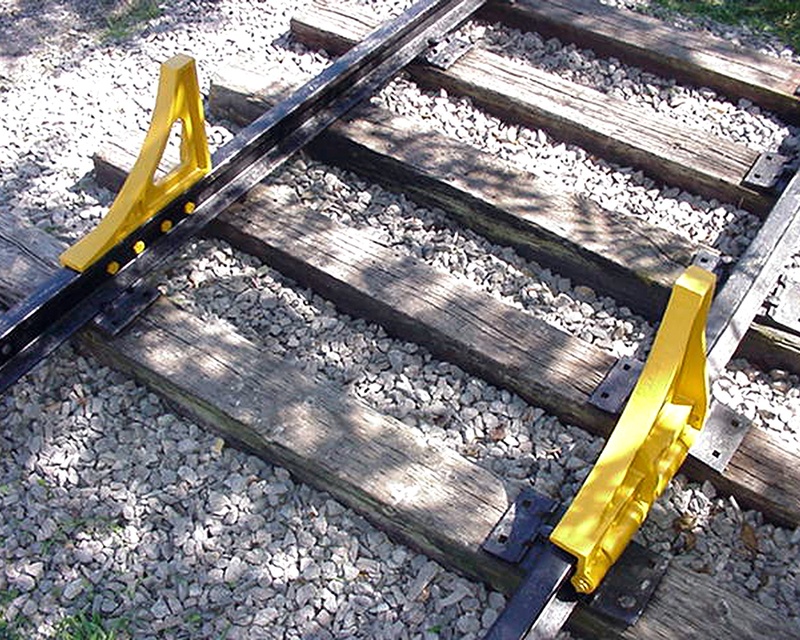 *CS-60 Car Stops are designed for EXPOSED RAIL TRACK. 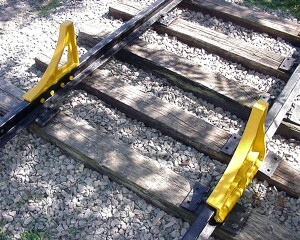 When the CS-60 car stops are used with flush rail or crane rail, the track area will require some modification for their proper installation. If you have flush rail (rails encased in pavement), contact Nolan at 1-800-297-1383 or 330-453-7922 before ordering.